Speedplay Cleat Wedges® for Walkable™ Cleats work only with the newest Zero and Light Action Speedplay Walkable™ cleat systems. SCREWS in this kit are NOT compatible with any of the old model Zero, Light Action or X-Series cleats. Same as the original, Speedplay Walkable™ Cleat Wedges® work with Speedplay Zero and Light Action Walkable™ cleat systems. The box includes eight (8) 4-hole Speedplay Cleat Wedges, four (4) 09 mm & four (4) 11 mm Walkable™ type screws and installation instructions. Please note: Screws in this kit are ONLY compatible with new Speedplay WalkableTM Cleats. The 4-hole system is associated with the Speedplay® pedal/brand. 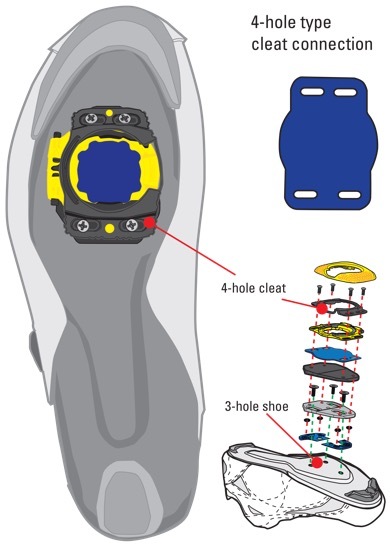 Speedplay design has the clasping mechanism on the cleat, rather than on the pedal, like with SPD and Look systems. In this system, the shoes are made more for riding than walking. 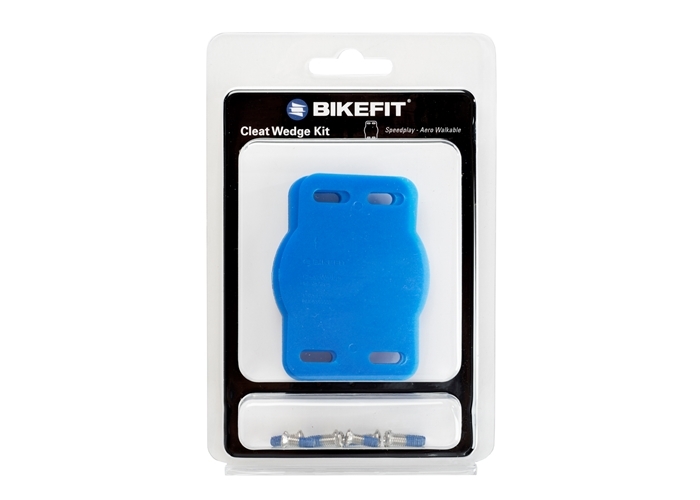 The system with a four-fastener connection, generally offers more adjustability options in the foot/pedal connection, often making it a favorite of bike fitters. We also off these 4-hole Speedplay® wedges in regular road cleat style (not-walkable).